The days' plan was to go to Kanpur, Jhansi and finally end up in Gwalior. As we did more research on places to see in Kanpur and the fact that we had to drive into the city to reach those places, we decided to drop those from our itinerary. The day we were planning to this trip, Prime Minister was visiting the Lucknow city, so we quickly wanted to get out of the city. 9:05 AM We start from our hotel after breakfast and quickly progress towards Kanpur road. 10:20 AM We crossed Unnao. 10:45 AM We crossed Kanpur town. As we were looking for opportunities for a break, we did not find anything that looked decent. Most of the places on this route are plain Dhaba with no toilet breaks etc. So we finally reached back at Govindam Hotel where we had stayed during our earlier run. 12:00 PM We reached Hotel Govindam for a bio and tea break. ant for Lunch. 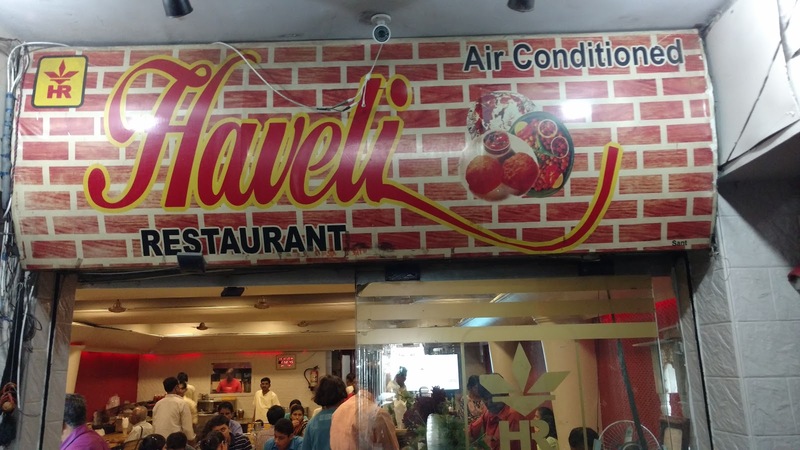 We find Hotel Haveli recommended well on Tripadvisor and we decide to stop there for Lunch. it is pretty close to the Fort. 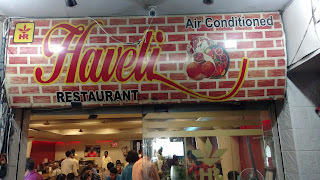 2:05 PM We stopped for Lunch at Hotel Haveli. It is an half an hour break. The restaurant is decent and serves a thali style lunch. 2:45 PM We reach Jhansi Fort. It is a smaller fort compared to other forts but has its own character. The fort has been ruined to some extent by some telecom operators putting their microwave station but still it is a good sight. The construction of Jhansi fort is ascribed to Bundela Chief Raja Bir Singh Deo of Orchha in 1613 AD. it was one of the strongholds of the Bundelas till it passed into the hands of the Mughals for the next hundred years and subsequently came under the possession of the Marathas for another hundred years. The Maratha Chief Naru Shankar enlarged the Shankargarh area of the fort in 1729-30. During the first war of Independence of 1857 it passed into the hands of British who defeated Rani Lakshmi Bai and took possession of the fort. The fort proper has occupied an area of 15 acres. Altogether there are twenty two bastions with a massive fortification wall and moats on two sides. 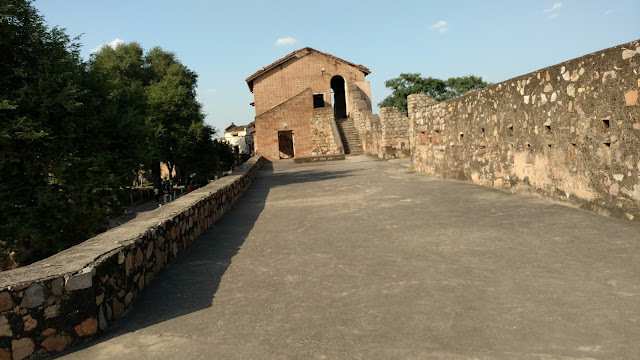 The old city wall had ten gates and four Khirkis. The gates are known as Khanderao, Datia, Unnao, Orchcha, Baragaon, Lakshmi Sagar, Sainyar, Bhander, and Jhirna. Four kirkis are Ganpatgir ki Khirki, Alighol ki Khirki, Sujan Khan ki Khirki and Sagar Khirki. The important structures in the fort are Baradari, Panchmahal, Shankargarh, Memorial Cemetery, Kal Kothari, Hanging Sport, Ganesh Temple, and Shiv Mandir are made in traditional Maratha style. Graves of Gulam Gaus Khan, Khudabaksha, Moti Bai, the three faithful military officers of Rani Laxmi Bai and Kadak Bijli, Bhavani Shankar canons and Jumping sport are major attractions for tourists. It is said that Rani Jhansi along with her adopted son jumped out of the fort from the said spot. The great canon of Gangadhar Rao is still visible in the eastern side of the rampart. It used to lighten from its nozzle at the time of operation which is curved like a lion mouth and as such it received this name. Gulam Gaus Khan used to operate this canon. The total measurement of the canon is 5.5 meters X 1.8 meters. It has a diameter of 0.60 meter. Originally Kal Kothari was a prison room built by the Marathas and used for the said purpose. The british added another floor to it and used it for the same purpose. Originally the panch mahal had five stories and was built by Raja Bir Sing Deo (1611-1627 AD). But presently only three stories are existing. Rani Laxmi Bai used the ground floor of the Mahal as the conference room. She stayed in one of the corner rooms in first floor. We are done with the fort at 3:40 PM. As you leave the fort, the famous poem by Subhadra Kumari Chauhan on Rani Laxmi Bai is at the gate. We start our journey towards Gwalior which is our stop for the night. The road from Jhansi to Gwalior is challenging. 6:30 PM We reach the hotel in Gwalior. We stayed at Usha Kiran Palace, Here is my review of the hotel.